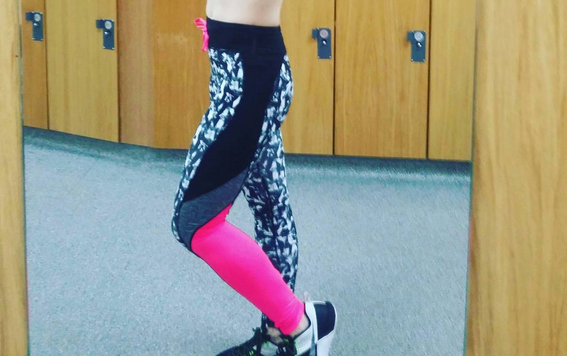 What I’ve not been doing terribly well though is marrying my Instagram up with my blog – I’ve done plenty of fitness posts here but I haven’t focused so much on my gym training. 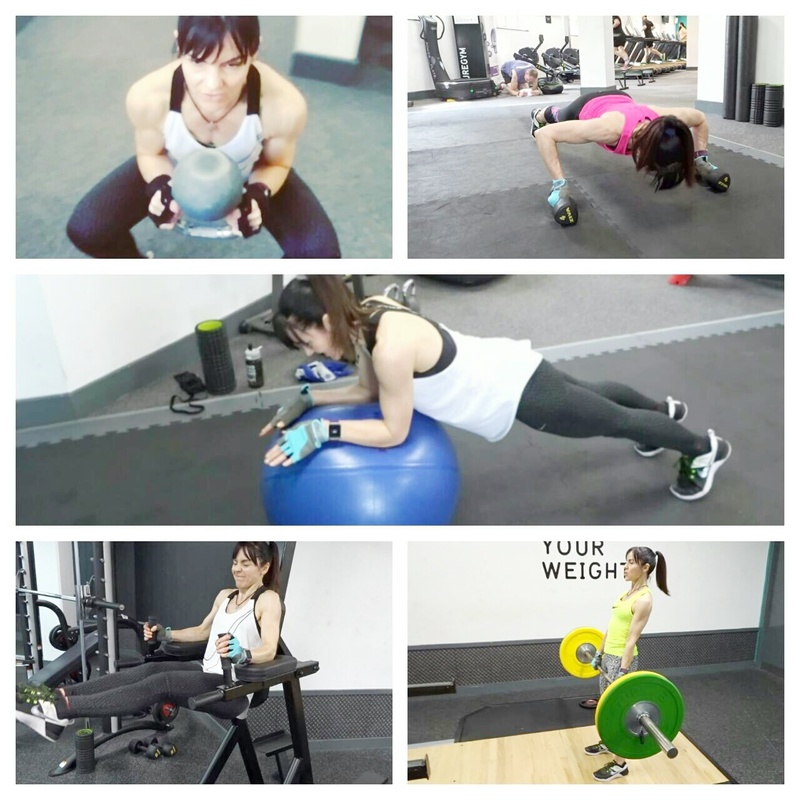 So, today I’m launching ‘Getting My Sweat On’, a round-up of my workouts from over the last month. It’ll include my favourite exercise of the month, least favourite (read that as most challenging), one to try, and useful trainer tips. I'll finish with Any Other ‘Fitness’ Business. I'm kicking the series off with everyone's favourite - deadlifts. So, I started the month finding out how strong I am. There’s a calculation for working it out – I never knew such a thing existed! It’s called the One Rep Max and it’s useful for putting together optimal training programmes, ones that will push but not strain you (weight training is NOT about lifting as heavy as you can!). My PT Peter used a series of deadlifts to work out my 1RM, pushing up the weights at every lift until my form started to go. 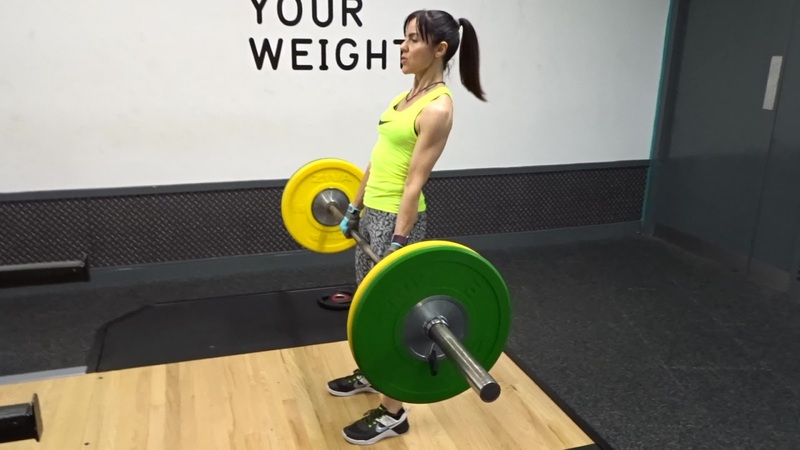 Deadlifts are one of the best exercises you can do for increasing total body strength. They can also improve posture. Tip: sit back into your heels and ensure your back is straight before attempting each lift. More on the 1RM here. Recently I also began a new eight-week fitness programme. When I started training regularly with Peter, one of the first things he did was to establish my goals (a good trainer will do that). My programme is geared towards hitting those and sees me train a particular part of the body each time, ie upper body and core one day, lower and core the next, cardio after that and so on. If you train frequently (I go four times a week – in theory) following a regime like this allows you to rest certain muscle groups even on training days. If you visit the gym less often a full-body workout might be a better option. My upper body and core work includes renegade rows superset with press-ups (pics above, respectively). Supersetting is a form of training which involves alternating different exercises. I also do pull-ups, as well as TRX (who doesn’t have a love/hate relationship with that piece of kit?) 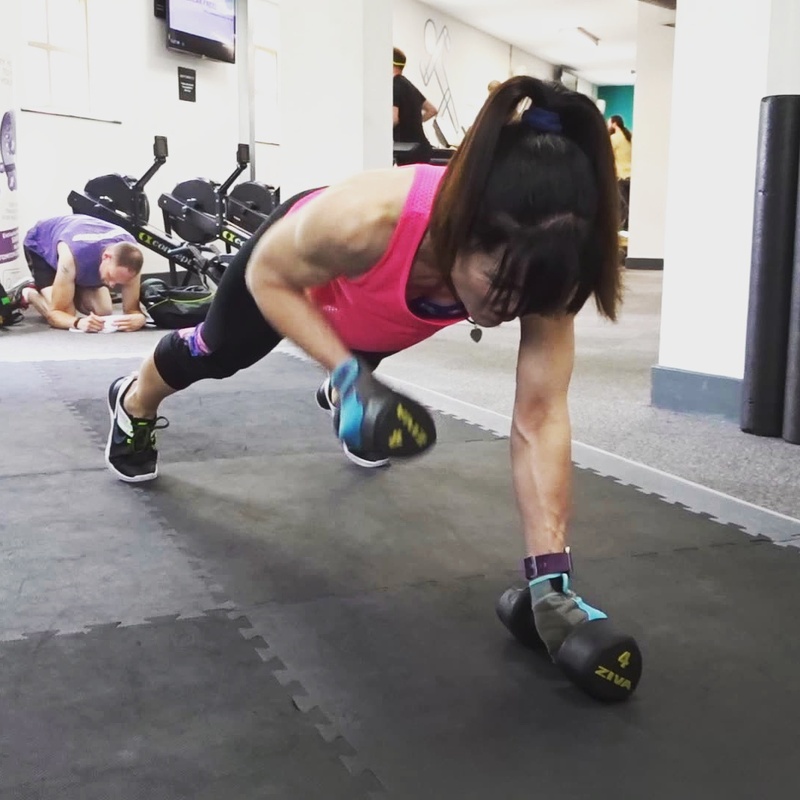 for arm rows and an exercise called "the fly", where you lean back with your arms straight out in front and then pull yourself up, spreading your arms (wings) out like a fly as you do so. Nice! Lower body and core includes more TRX (I really should devote a whole post to the fabulous TRX *not joking*) involving Pistol Squats (squats that make you look like a pistol), Goblet Squats (squats that make you look like a goblet), Stability Ball Sphinx (a Swiss ball exercise that makes you look like… you got it! ), plus Leg Raises (ouch! – tip: bend at the knees before raising for an easier alternative). Deadlifts. Not just because they’re a great all-rounder but also because you look strong doing them! Stability Ball Sphinx without a shadow of a doubt. Roll on to a Swiss ball in a plank position. 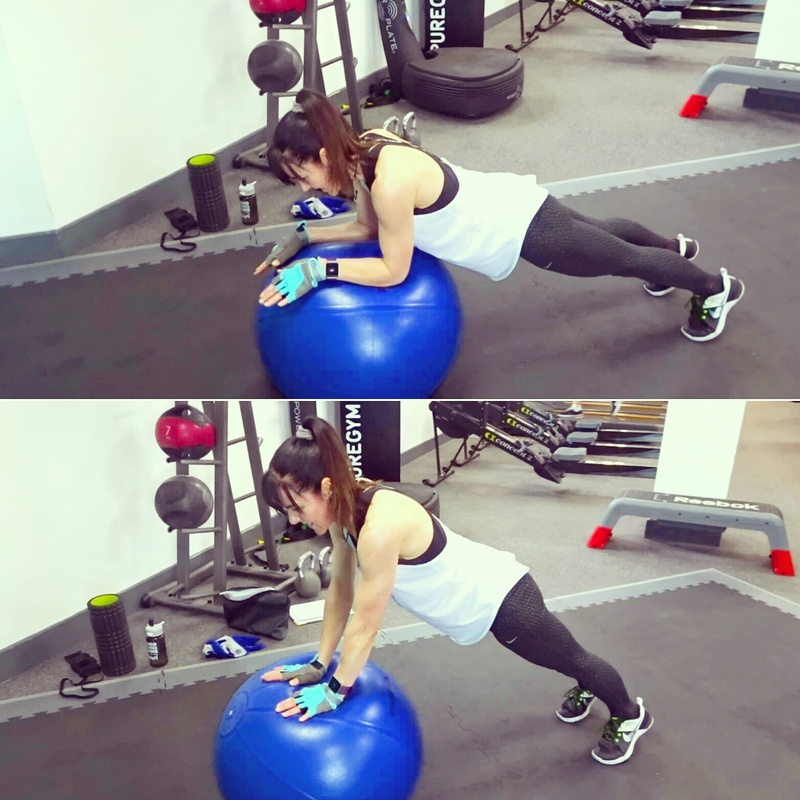 Next push upwards and roll the ball towards you, straightening your arms as you do so and (here's the insane bit) keeping the plank. Core blimey (get it?) I find it hard. 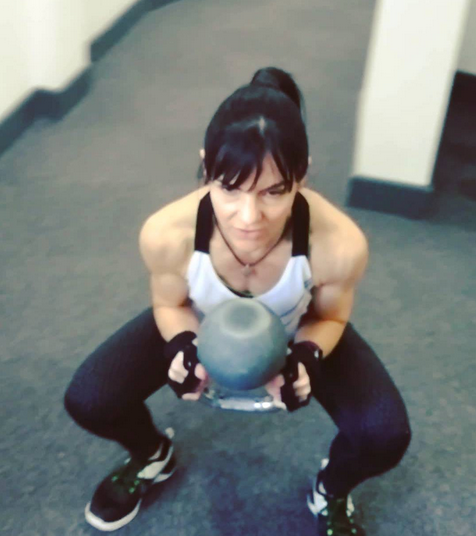 Goblet squats. Who doesn’t love to squat? They’re the booty building exercise of choice, right? Plus it requires minimum kit – just a kettlebell (choose a weight to suit). 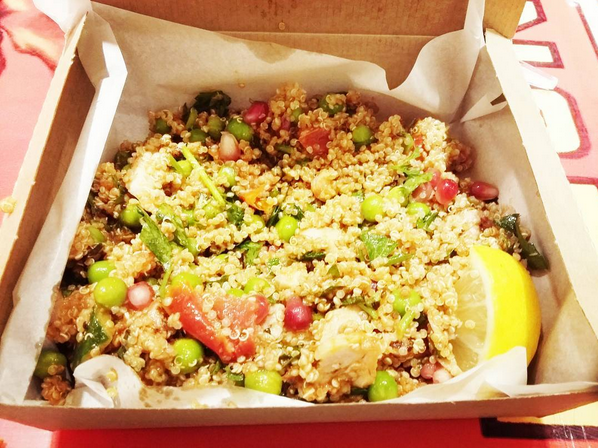 Bagged a bargain pair of Elle pants in TK Maxx (16 quid), and discovered that Leon do a ‘superclean’ chicken and quinoa salad – healthy fast-food. I repeat: healthy fast-food! 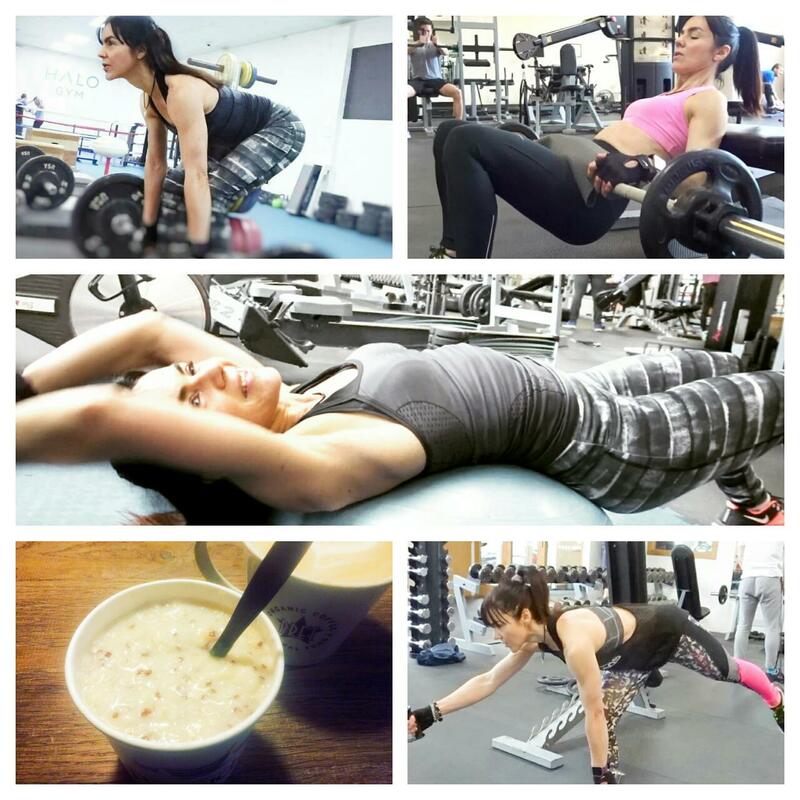 * More pics and videos of my workouts can be found on my Instagram page here. The plank on the stability ball looks insane. I'd definitely roll off! Love your routine.